The playlist is designed to give you a space to quickly access content that has been selected and categorised by you. In this section you will have the ability to access, manage and create your own playlists. 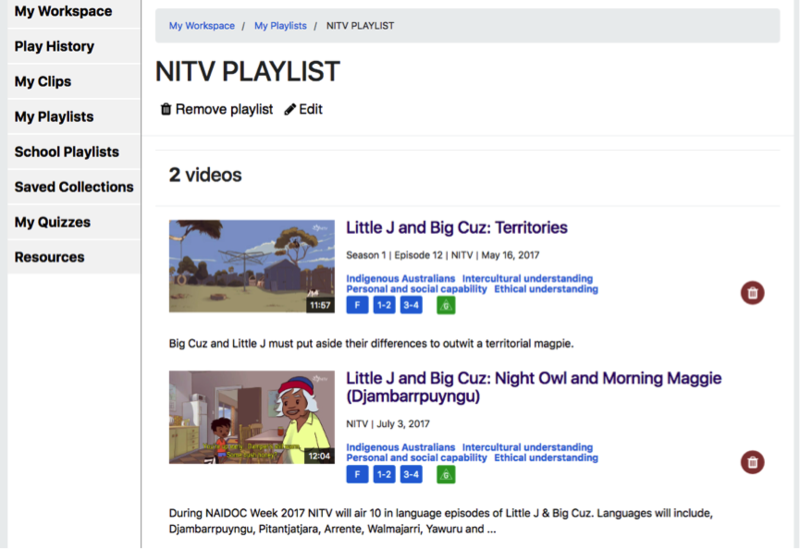 There is no limit on how many playlists you can create or how much content you can add to it. 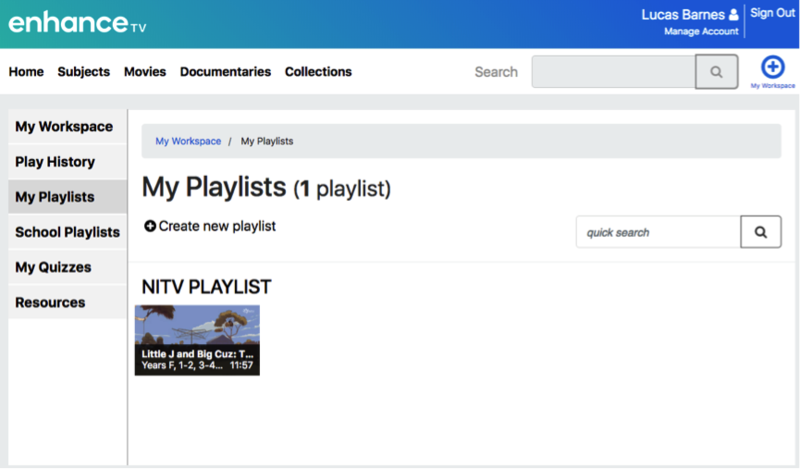 Create new playlist gives you the ability to create a Playlist title, ready for when you search videos and clips to add to your Playlist. Remove Playlist is the function to remove the entire selected playlist. Once it is removed, you are unable to un-remove the playlist. 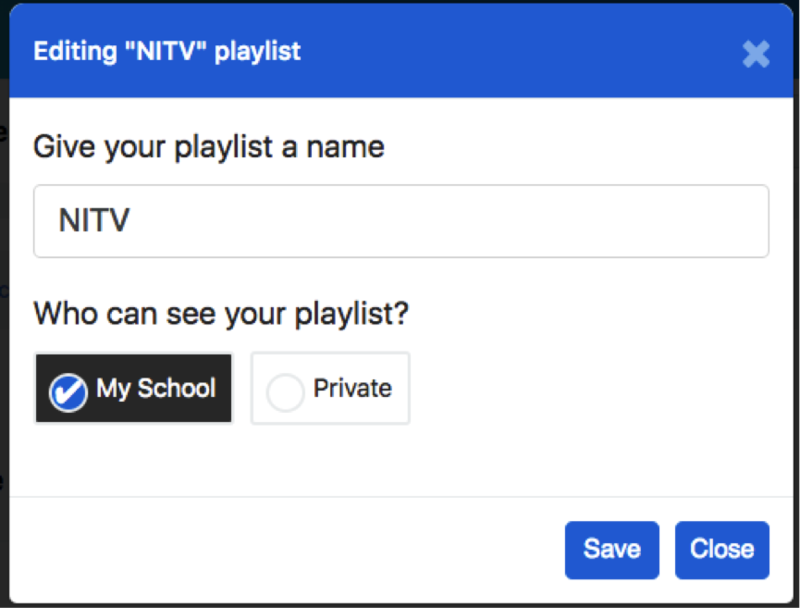 Edit allows you to change the name of your playlist or change the sharing permissions from private to school. By selecting "My School", this will share your playlist with only Teachers in your school and will appear under their "School Playlists" sub menu. It will remain in your "My Playlist" menu as you are the owner of that playlist.